Here are four. Are there more? 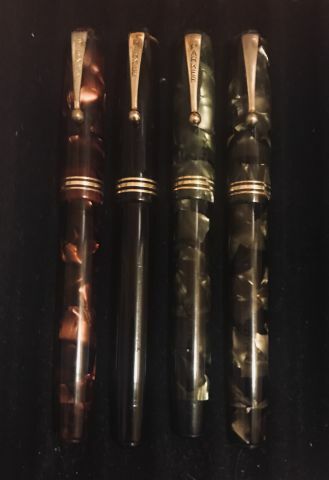 Yes, there are quite a few more Parker Depression?Thrift Time pens. I don't collect them, so I can't really show any examples, but I've seen pictures of pretty extensive collections. These came in two sizes, but I think you've got all the colors. David R. Isaacson MD. Website: VACUMANIA.com for quality old pens with full warranty. More Parkette Deluxe - All the Reds?